Huge thanks to all our members and the community for their support in 2016. It has been a real pleasure for all of us to be behind something so great. Hyperledger is moving full steam ahead in 2017! 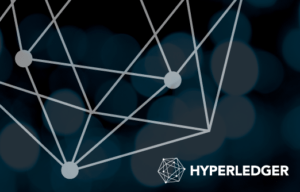 As the number of different projects, different members, and public interest in Hyperledger has grown, so too has our concept of who we are and how we support the community. Given that, the Linux Foundation is looking to fill new roles on the Hyperledger team: a Director of Ecosystem Development, a Security Maven, and two Community Architects to help Hyperledger drive open blockchain standards and technologies in the coming year. The Community Architects will be technical, and expected to write code from time to time, but their primary role is to remove all barriers for other developers to understand, get productive, and start collaborating. They will also assist technical conversations across projects, drive a holistic overarching architecture that makes sense to developers and the broader user community, and drive successful adoption of open source development practices across Hyperledger. The Security Maven will ensure the Hyperledger community implements the best practices of secure software development, from reporting processes to code scanning to building a common security model. Finally, the Director of Ecosystem Development will help us coordinate all the non-development-related engagement with our members and the broader business community. If you’re interested in any of the positions mentioned, please apply directly here: https://jobs.lever.co/linuxfoundation.org.